Aviation Insurance Australia in conjunction with Liberty International Underwriters (LIU) and QBE Insurance (Australia) Limited (QBE) have introduced a Professional Indemnity (PI) and Aviation Liability (AL) insurance facility specifically for Flight Examiners and Instructors following the changes to CASA Part 61. These insurers are both highly respected insurance companies and licenced to operate in the Australian market. Each insurers Standard & Poor’s financial rating is available on their website. 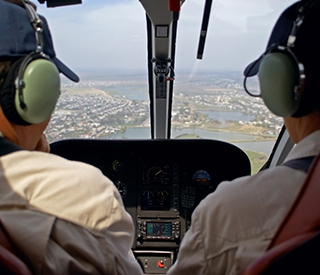 The PI insurance policy indemnifies you as the Insured against civil liability (this is broader coverage than a policy based on negligence or breach of professional duty) that you may incur in respect of a claim arising from the performance of your professional services as a flight examiner and/or flight instructor. The Aviation Liability insurance policy indemnifies you against third party, property and bodily injury, including passenger liability, arising out of an accident caused by the Aircraft or by any person or object falling therefrom. The policy coverage is of course subject to the terms, conditions and exclusions of the insurer’s policy wording.